Are your students struggling with spring fever? 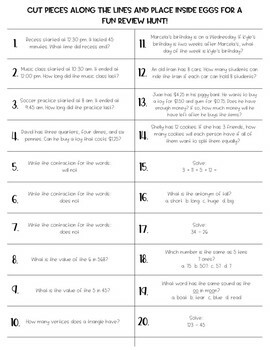 Are you struggling to get them engaged in review activities? Do you want a way to infuse movement and fun into a review lesson? 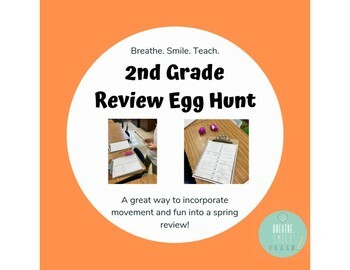 This egg hunt will increase your student’s engagement and knowledge while learning about math, spelling, and phonics. Your feedback brightens my day and helps me continually improve my products. If you download this, I'd appreciate it if you'd leave a comment. Thanks! 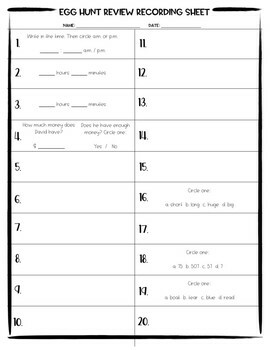 Unlimited copies for you and your classroom is okay. However, you may not distribute additional copies to friends or fellow teachers. If you’d like extra copies, please purchase additional licenses. 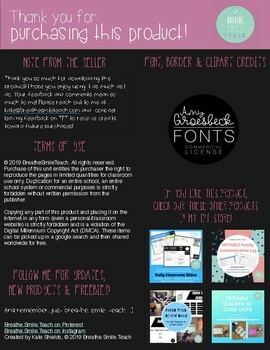 Please provide me with feedback...I love to hear from you!